This morning, I got a first-hand look at the Grandmother of all Deer Flies. Our area has been inundated with them this summer, the worse in recent years. They have prevented us from taking evening walks, as they pester Igor relentlessly and bite him viciously on the nose, causing large welts to appear. Sometimes 5 or more will buzz his head as we head out and will not leave until we return and hide in the garage. A few bold ones have ventured into the garage, only to be swatted by DH. But they persist to torment us. 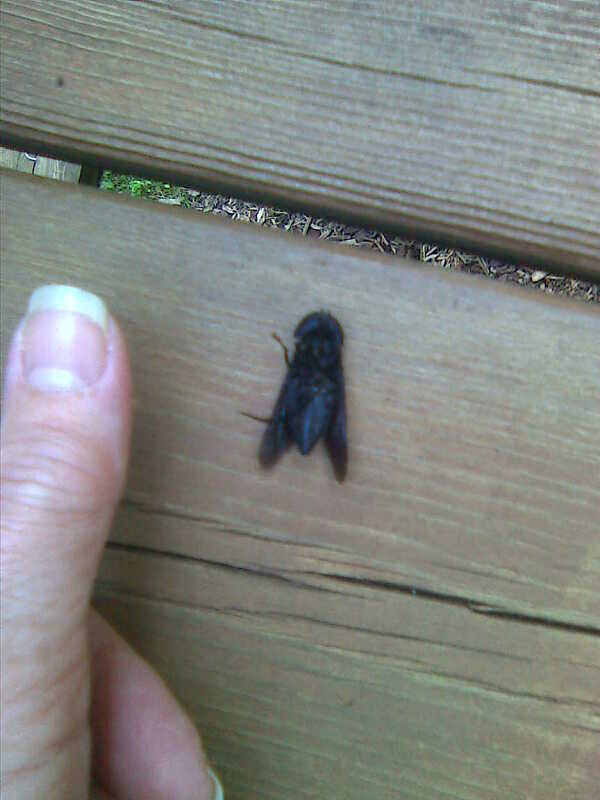 This one was in a Death Spin when Igor found it on the back deck yesterday morning. Hideous thing was spinning around on it’s back, scared the carp out of me once as it spun out of control toward my bare foot, until it finally spun itself between the boards, and fell through. Good riddance!! 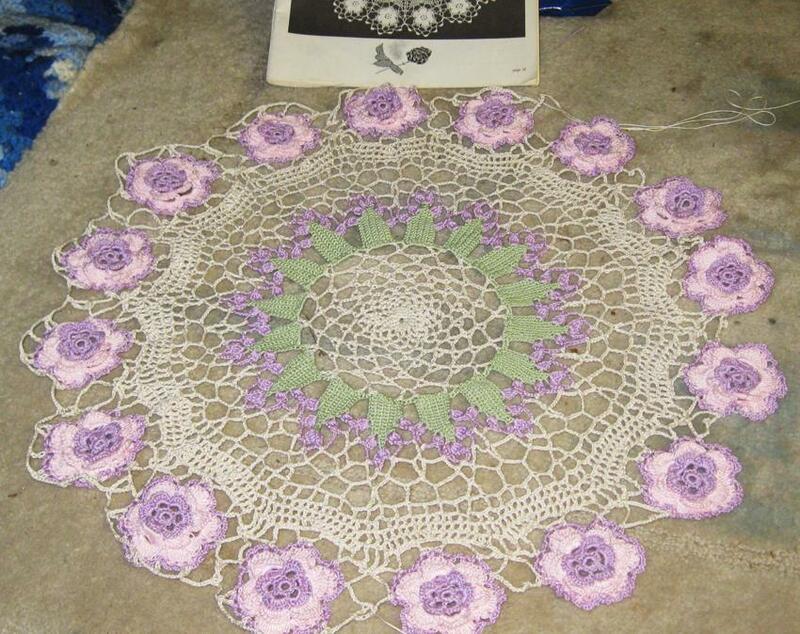 I have finally connected all the rose motifs for Sharon’s Blue Girl Rose Parade Doily. She is still recouperating from day 2 after surgery and from what her DH said, was in a great deal of discomfort. We suspect it will be Wednesday before she is released. That gives me enough time to complete the doily before she comes home. 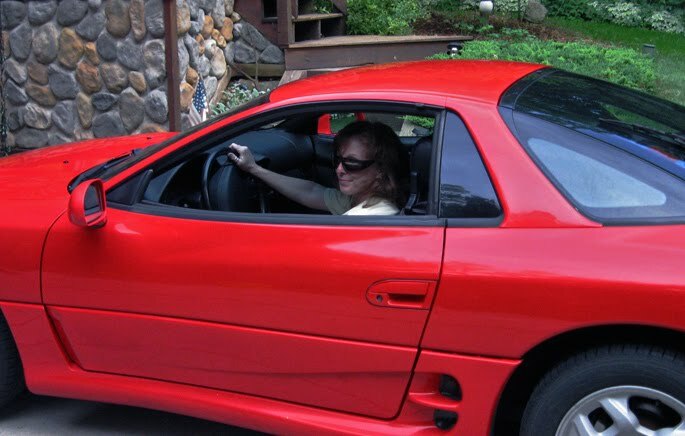 Time to take the Zoom Car back…. I will miss you, Mitzi….